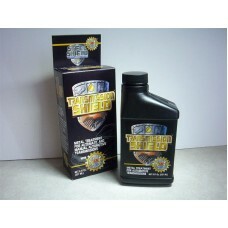 Transmission Shield® is the ultimate protection for the moving metal parts in your transmission. Again, utilizing Advanced Boundary Film (ABF) Technology, it protects moving metal parts from wear and damage due to boundary conditions of frictional abrasion in the planetary gears, extreme pressure torquing of the drive train components, and insures proper valve body operation. Other benefits include further increased fuel savings due to reduced friction and increased fluid flow, reduced maintenance and downtime, extended parts longevity and significantly reduced operating temperatures (average - 30 degrees).